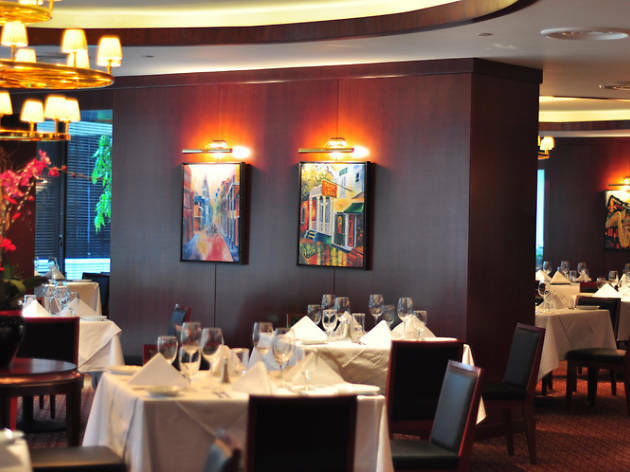 Fine dining doesn’t have to be a stuffy affair, and Ruth’s Chris Steak House is testament to that. 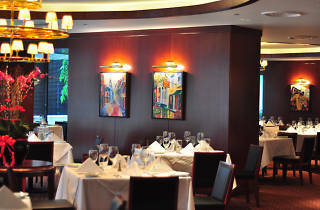 Don’t let the white tablecloths and plush leather chairs of the upscale American chophouse fool you – a meal here is warm and intimate, with servers who stay true to the restaurant’s roots in Southern hospitality. 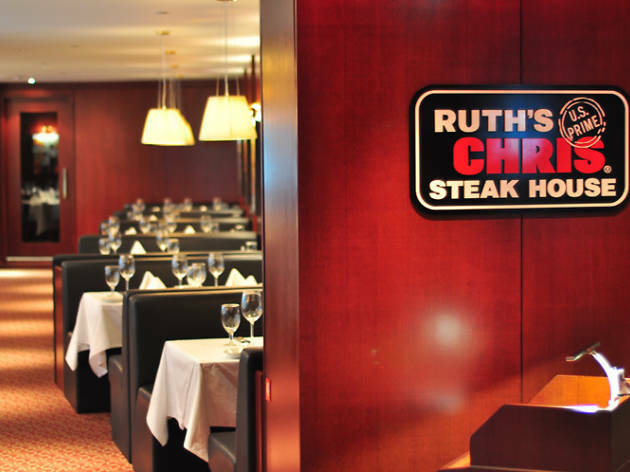 Ruth’s Chris originated in New Orleans, Louisiana in 1965, and has been serving sizzling steaks to discerning diners ever since. 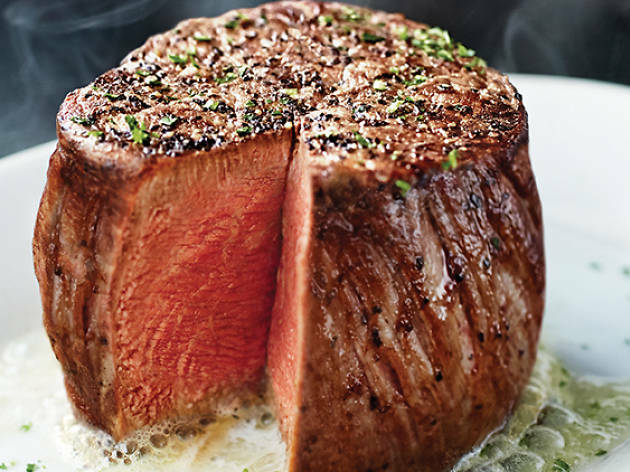 It begins with the ingredients: most of the cuts used in the restaurant are corn-fed USDA Prime beef – that’s the highest USDA grade. 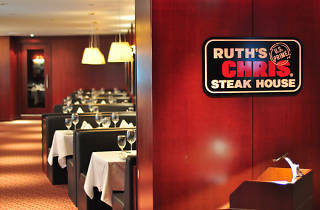 And when it comes to technique, Ruth’s Chris maintains the tried-and-true practices of the classic American steakhouse. 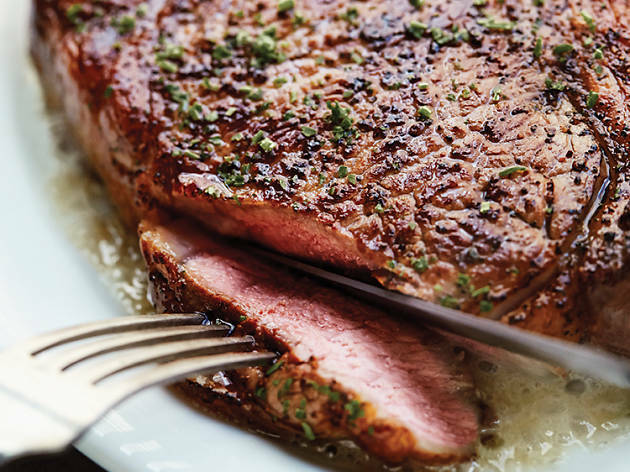 Each steak is prepared on the restaurant’s trademark broilers at 960ºC to lock in its natural flavours and juices before they’re served on red-hot plates to keep them warm throughout your meal. These aren’t your cast iron platters, mind you – they’re porcelain plates heated to 260ºC, ensuring you won’t lose the beautiful garnet centre of a medium-rare steak. 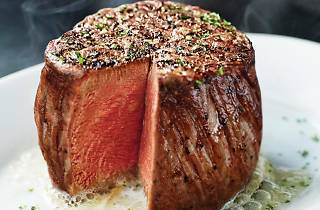 Popular cuts include the Cowboy Ribeye ($115), a 22-ounce ribeye that’s served bone-in to retain the tenderness and beefiness of the meat. 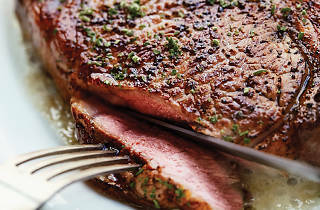 Another favourite is the New York strip ($110), a well-marbled 16-ounce USDA Prime cut. As you’d expect, the portions are huge. But no matter how stuffed you are, save some room for dessert. 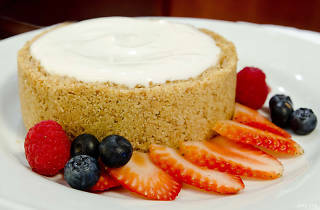 The cheesecake and banana cream pie (both $24) are so moreish you won’t mind the extra calories. 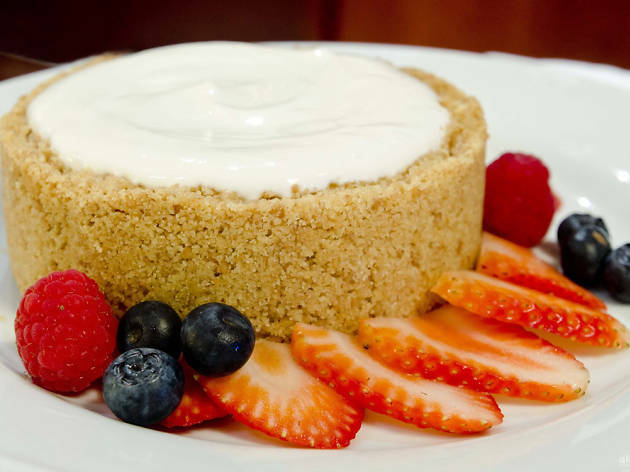 The former’s a perfectly executed take on the classic, with a buttery graham cracker shell encasing the silky centre, while the banana cream pie achieves the right balance between treacly and zingy.